Make sure everyone knows it's your special night when you hit the town wearing these cute Bride & Hen Party Badges. You'll be instantly recognisable as a flock of hens! 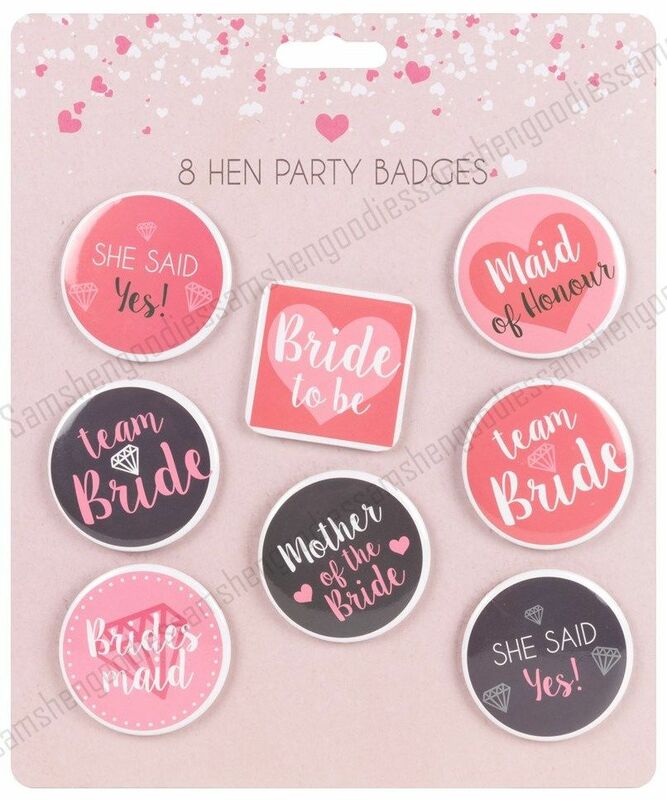 The pack of eight badges comes with one white 'Bride to be' badge and 2 Team Bride , 2 she said yes 1 mother of the bride 1 maid of honour and 1 bridesmaid badges. Pin one onto each other's clothing, but save the bride one one for the bride-to-be! Why not make your night out even more exciting by adding a Silver Bride To be Tiara with White Trim and our hilarious Hen Party Dare Dice Game to your order?